Look! 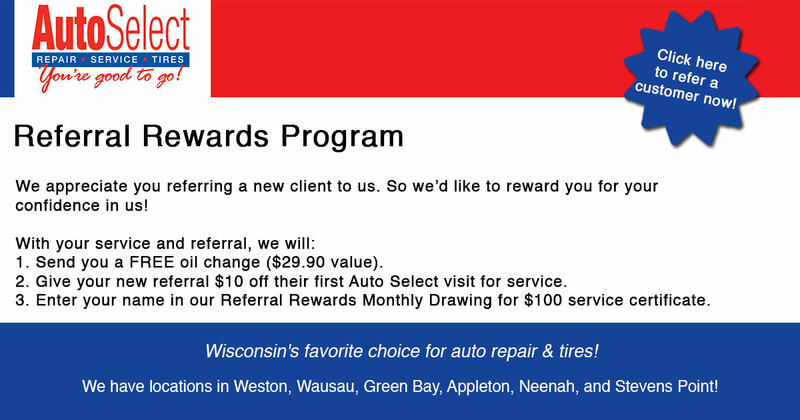 Get your monthly drawing for $100 service certificate in Weston WI. Auto Select is the place.